Search engine optimization is all about the techniques and efforts to rank up websites on the search results and maintain the high rankings. The potential consumers can spot a high ranked website on the search results immediately, implying that more consumers will visit the website and most of them may buy products or services or take the desired action. The SEO trends and technique to rank websites higher changes fast due to the emergence of new technologies and changing customer behavior. When new SEO trends comes up, it means that the SEO experts are reviewing their strategies. However, most of the SEO professionals cannot keep pace with all the new trends. This is because many new small and big changes continue to develop each year. A reason for the new trends emerging up fast is that Google sets new rules for ranking of websites. The search engine notifies 500-600 updates annually and the SEOs have to comply with these changes to ensure that their websites follow legitimate optimization practices. If your website is not ranking higher despite your SEO efforts, it may be that it you did not evaluate its compatibility for SEO practices. You must audit your website for SEO right away. 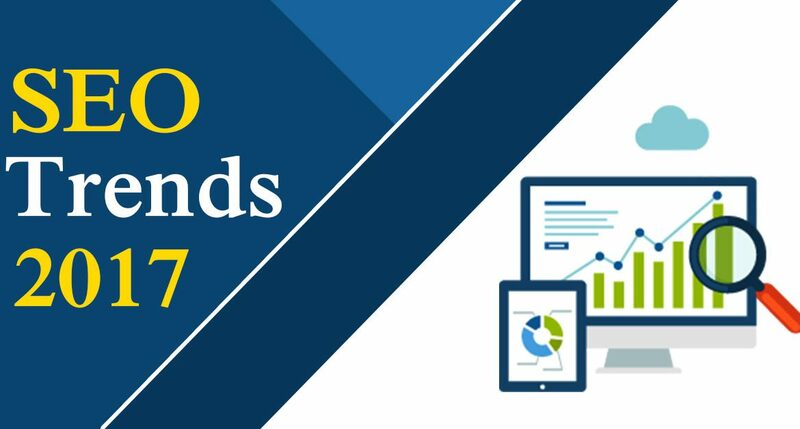 So, to maintain your website’s high ranking or to optimize a site from bottom to top ranks, make sure that you know the new SEO trends and put them into practice. Written content consumes a lot of time of the readers. In today’s busy world, people are using visuals to communicate. Even text messages have become shorter such as we see on Twitter and Whatsapp. These social media products came into existent due to people’s need to react and convey quickly. This also indicates the trend that lengthy blogs are preferred only to gain extensive information. The SEO experts are depending more on videos to drive traffic. Videos are effective visuals that catch the attention quickly and engage the audience fully due to an interesting way of presenting an issue and marketing products or services. In 2019, videos have already gained significance as a major marketing tool over written content. 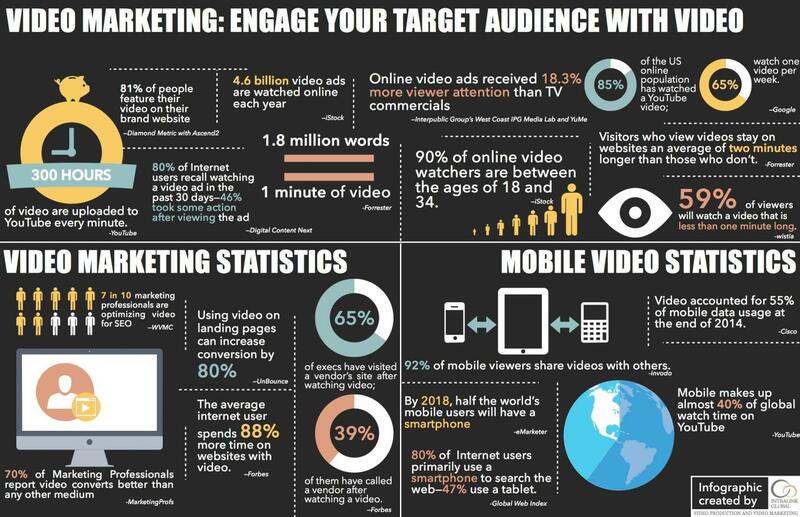 It will not be a surprise if video marketing becomes synonymous with content marketing in the months to come. Once, SEO experts used to make optimization strategies keeping only the desktop websites in mind. But the desktop sites are no longer that significant to the SEOs. This is because of the fact that most of the consumers use smartphones to search products or services and shop online. 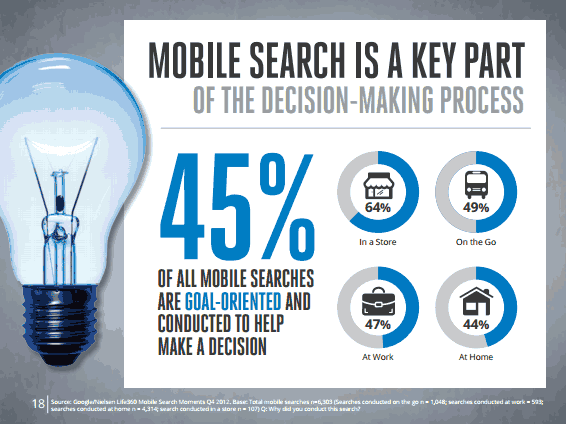 The overwhelming use of mobile phones for searching and shopping has compelled the SEO professionals to optimize mobile websites and the trend is fast picking up. The SEO professionals optimize mobile website pages for quick visibility of the search results on mobile phones. Mobile websites are designed differently than their desktop counterparts and the applied SEO techniques are not the same. One of the changes picking up fast is that people are using voice over typing of text to search for products or services and information through search engines. It is easier for people to say something on a mobile phone to find a list of the search results. Moreover, voice searching is useful also when you are on the move and need to get some information using search engines. People phrase voice queries differently than the typed queries. They will be using conversational dialogues for the voice search. This means the SEO Services and techniques will also dramatically change since the SEO experts will have to find out new voice-based keywords for optimization purpose. 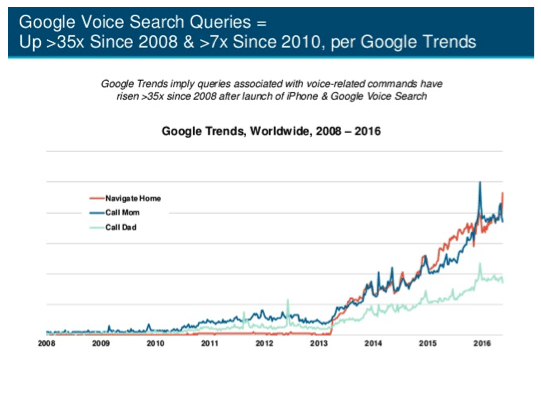 More users are using voice search also due to the availability of voice assistants such as Siri and Cortana from Google and Microsoft respectively. This means that SEO professional should lay emphasis on producing the content that is in a conversational tone. 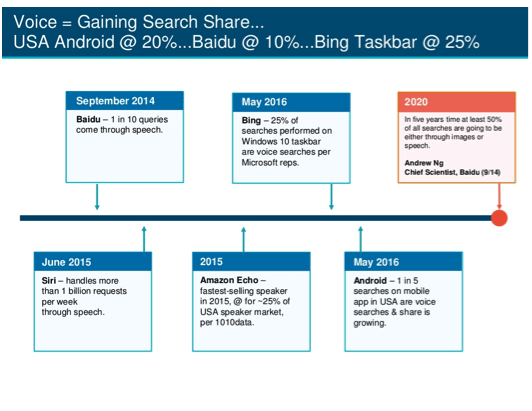 According to Internet trend reports, 50% of all searches will be conducted in speech or images by 2020. Increasing number of people are turning to sites that provide all sources of news from one page. Such aggregate news pages offer text, images, and videos on a single page, which gives a unique user experience when it comes to accessing the news. People can read the news and see its visual input from videos and images on the same page. There is no need to visit a video site to get the same news unfolding in visuals. This way, the web page engages the users and keeps them glued for a considerable time. People are using these site pages for live news updates. This means that the people automatically source these sites. 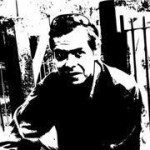 This trend will have its own impact on the SEO techniques. Google will index social content as well for ranking of websites. The search engine major will come out with special strategies for using Facebook and Twitter content for ranking. Social media has already gained much importance in the eyes of the SEO experts. They use social media practices to boost SEO. 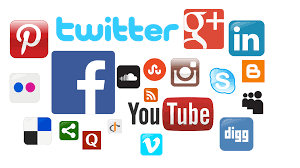 In 2019, many more social platforms can be included by Google in the list of the platforms that the search engine will be searching for content to index and rank the sites. The significance of app optimization will grow further in 2019. So, if more important sites link your business app, the app is likely to be ranked higher in search results. The search engines will consider the ‘’deep links’’ for ranking your apps just as these links are used for desktop site rankings. So, the SEO experts will try to link your app with many other business apps so that the search engines can index and rank the app. Google introduced its Rich Answers as a way to rank useful content higher. But Rich Answers is now being seen by many SEO professionals as an essential tool to rank websites higher. Google is raking those sites higher that have content optimized for rich answers. This is one of the key tips now to improve SEO in 2019. 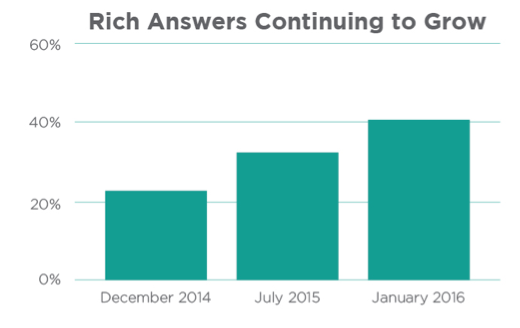 According to a study conducted by Stone Temple, there has been an overwhelming growth in the volume of rich answers in SERPs since its inception in December 2014. The volume has nearly doubled since then. To rank the content for Rich Answers, Google gets metadata from your content. Then, it displays the information in a visual ‘Answer Box.’ The information in the box can appear in question and answer form, charts, maps, recipes, and event schedules. To leverage Rich Answer to get your website rank higher on SERPs, your key phrases should be included in the metadata, the page header, and alt tags. Make sure that you address the target queries of your readers. 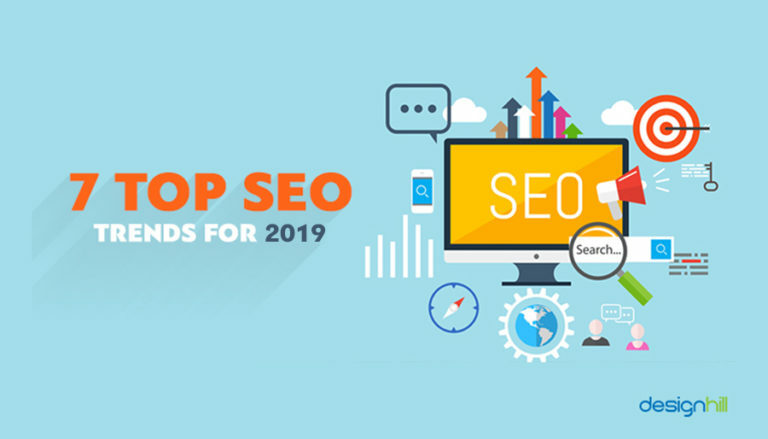 So, these are the key factors you should pay heed to in the current year when it comes to picking SEO trends for optimizing your website. What are other trends that we may be missing? You can share it with us here.